What does a mobile journalist need? 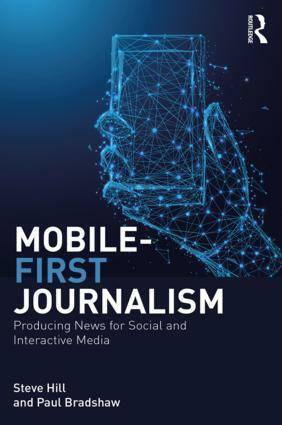 In my MA Online Journalism session this week I’ll be looking at mobile journalism. As part of that, below I’ve compiled 4 lists of things I think a mobile journalist needs: hardware, software, systems, and mindset. I’d welcome anything you can add to this. In the spirit of mobile journalism, I will also be streamed the session live on Bambuser from 9am UK time on Thursday, for around 45 mins – if you can join us online and chip in, please do. I’ve embedded the player below (skip past it for the lists of things a mojo needs). Useful emails, e.g. Twitpic, YouTube, Twittermail, Facebook, Posterous etc. Blog via email or text – Postie plugin/Posterous/app/etc. ‘Always-on’ approach – tweet on the go; share images; stream quick video. Think humour, art, quirky, as much as ‘news’. Prepare yourself and users for when you need it. Play with new mobile tools – follow TechCrunch etc. 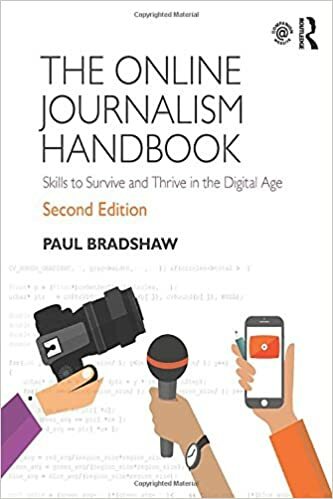 This entry was posted in mobile, online journalism and tagged maonlinejournalism, mobile journalism, mobile phone journalism, mojo on October 21, 2009 by Paul Bradshaw. Would I be being cumudgeonly if I added “talk to people, get out as much as possible, make the most of face-to-face time”? I agree with the first comment but I also think it is the obvious answer since I think being a mobile journalist means you will be out and around the people. But you may also need to have a GPS or an app on the phone that is GPS so the journalist can get for point to point. Just a thought. – Having the intelligence to NOT pack *everything*. If you took all of that up there with you, you’d never get on any plane anywhere without paying excess! ONLY take what you need. – Understanding that it’s the CONTENT not the Quality. i.e. : It’s all well and good kicking around the outskirts Zimbabwe and recording everything you see, but you will not get an internet connection anywhere for toffee… and if you do, it’ll be S-L-O-W. Any attempt at uploading/filing any kind of HD content will be futile. Tripod: You want a super handy Gorilla Pod, google it, you’ll see. One UNLOCKED Nokia N86 (two if poss) w/ Joikuspot, Pixelpipe and Google Maps installed. Also *mulitple* SIMs (be prepared to buy local ones when you get there). The N86 also auto-geotags photos, no apps required. *Several* batteries, one Power Gorilla charger (again – google it, it can power a Mac too). One MacBook Pro – essential and with it, a portable hard drive of some kind. Maybe a small 500GB or something, basically to keep a backup of EVERYTHING on in case your mac goes under or you lose memory cards/equipment etc. One Moleskine – If EVERYTHING DIES you’ll still have a trusty notepad and pen. I’m still writing up my diary from my travels on my blog. A MUST. One North Face ‘Surge’ Rucksack. Documentally put me onto this and it is awesome. I can pack everything in it and it has a fantastic laptop pouch. …and.. I think… that’s.. it. Happy to talk more on the subject, had a fair bit of experience on mobile journalism this year! If we’re talking about needs, I’d argue that you really only need everything in Section 4 (Mindset), a laptop, free wi-fi at Starbucks, a Twitter account and the gold Nokia brick. That said, these lists are dynamite “next generation” upgrades once you’ve grown accustomed to the basics. At a push I would be happy with an iPhone and a handful of free apps. For a little more freedom and flexibility I would pack an iPhone with mophie Juice pack attached. MiFi with sims. A Spoffle (mic wind shield), Audioboo, tweetie, twitvid and posterous. In reality I pack way more kit to be ready for every eventuality with Power Gorilla, macbook pro, compact camera, solar chargers, digital audio recorder and so on. Most of this is back-up and never gets used. Break it down and all we need is a story, the passion to document it and a way of sharing. The more tech we hang off ourselves the more options we have to decide between and the more cluttered our mind becomes. If this starts to hinder the journalistic process your tools become a burden. Moments after bumping into Tony Benn with only an N95 my streamed video was on the Guardian website. If I had asked him to hold on a moment while I rifled through a sack of tech I would have fluffed my chance at an impromptu chat. Use what you are comfortable with, that you can operate without thinking and maybe pack a spare. Thanks – some really useful tips particularly around the one or two essential bits of kit. Would welcome any other experiences. Good work Paul, like the post. It made me do something I’ve been meaning to do for ages – take a photo (badly lit in this case) of the kit I grab when heading out on a story. Details of each bit of kit is viewable on Flickr. Pingback: links for 2009-10-22 « Köszönjük, Emese! I recommend considering the Livescribe Pulse “smartpen” that records audio as you write your notes, and allows you to tap your written ink on paper to replay audio from the instant you wrote your notes. The smartpen has a built in microphone and speaker to record and play the audio. It also transfers your ink and audio, via USB, to your Mac or PC. You can then type a word into your PC or Mac, find the word in your handwriting within your uploaded digitized notes, and click on the word with your mouse to playback the audio from your PC/Mac. You may also have your handwritten transcribed, if your writing is legible, with accessory software. Finally, you may “Pencast” your notes and audio privately or publicly, that is, share the audio and ink (animated as a flash movie) with anyone. Check out comments from Chris Nuttal, Financial Times, who says Pulse “has changed my life as a journalist”. Or visit the City of Sacramento, CA’s Town Hall Meeting Notes, now publicly pencast using Pulse. –As the CEO and Founder of Livescribe, the inventor of Pulse, and previously the inventor of the LeapFrog LeapPad, I have a fascination with what I have called “paper-based computing” 🙂 . I’ve noted a common recommendation in comments by journalists above, of pen and paper as a basic, mandatory, travel tool. Now your smartpen doubles as a digital recorder, while making your basic ink-on-paper intelligent and transferable to the “digital world” (PC/web) for saving, searching and sharing. Please feel free to check out Pulse at http://www.livescribe.com . Some other notes: the paper in the Moleskine-like notebooks is plain paper printed with virtually invisible dots. A5, 3×5″ and 8.5×11″ notebooks are also available at standard notebook prices. Further, you can print your own interactive paper for free, with files from Livescribe, using ordinary copy paper on a color, postscript-compatible laser printer. We are continuously being told that Pulse is changing peoples’ lives. I recommend investigating. Finding experts to interview is also an important piece of the puzzle. I’m a journalist turned co-founder of Expertise Finder (http://expertisefinder.com/) – a search engine for journalists to find experts. We built it ‘mobile first’, soon not working well on mobile will simply mean doesn’t work. Here are two other useful lists for journalists to look at as well.